Aloha and Thank You for visiting Safety Wise Hawaii. We are a veteran owned company established to perform reliable and quality inspections for home and business owners. Safety Consultation services are also available. Please contact us directly at 808-286-9280 for more information. This company does maintain Professional Insurance. We look forward to serving you and exceeding your expectations. Mahalo. Mold has a potential to cause health problems like allergies, irritation (to lungs, eyes, skin, throat, nose) and are potentially toxic. Inhaling and touching mold spores may cause allergic reactions in sensitive individuals and normally healthy individuals may become sensitive to mold after exposure. 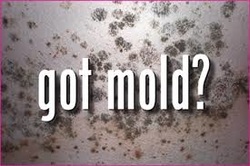 For fees and information on mold testing please contact us. Thermal Imaging is included as part of a normal inspection. Results are provided to provide owners or potential buyers with information about potential concerns that may warrant additional attention. The inspection is non invasive and is included at no additional cost. Independent thermal imaging inspections are available. Please contact us for specific details and pricing. Buying a new home is one of the biggest purchases you'll ever make. By choosing one that has been inspected for energy efficiency, you can have the house of your dreams and enjoy peace of mind knowing you are using energy efficiently and saving precious resources at the same time.